Exclusively ours. 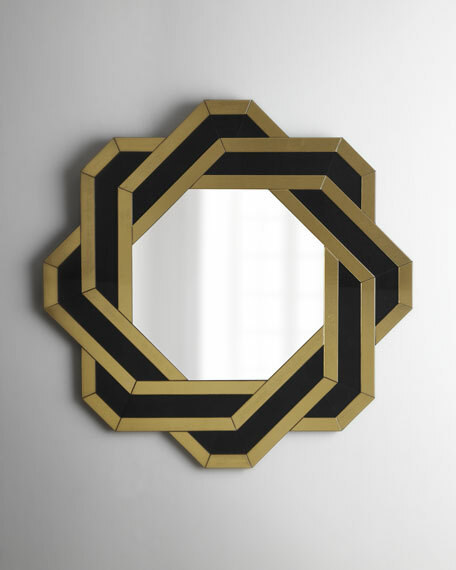 This unique mirror is perfect for over the vanity and just as stunning in other rooms. Black and gilded hand-cut, hand-wheeled glass strips. 40" diameter x 1 1/4"D.